The Sugarloaf Nordic Marathon had been looming like a white whale over the end of the 2017 ski season. Good conditions in late March can be as elusive as a giant fish in the south Pacific. Form and fitness can be fickle. And once the first signs of spring arrive, the doldrums aren’t far behind. It takes an extra effort to close the final leagues, to have that prey in sight, to be ready to hurl the harpoon. So it was not unexpected to find myself pondering why I persist in this sport, or any sport, year upon year. Why endure all the training, logistics and travel? Why deal with the equipment and expense? Why suffer needlessly and endlessly in deleterious conditions? If only for a few fleeting moments of brilliance when all the time and effort sunk becomes its own reward for rising above it? If only to prove that I was once a good athlete and could perhaps be one again, if only time weren’t against me? This year’s edition of Sugarloaf already had a different feel to it. The mid-week Nor’easter had dumped 20 inches of fine, fresh powder on the course. Temps would remain cold, meaning no slow, sloppy snow. Waxing for cold, skate conditions was a simple, straightforward affair. I was far from exhausted despite racing nearly every week and weekend since late December. Gone were the insomnia inducing fears of how I would cover the distance without cracking in the final kilometers. Confidence in my body and mental fortitude had grown. 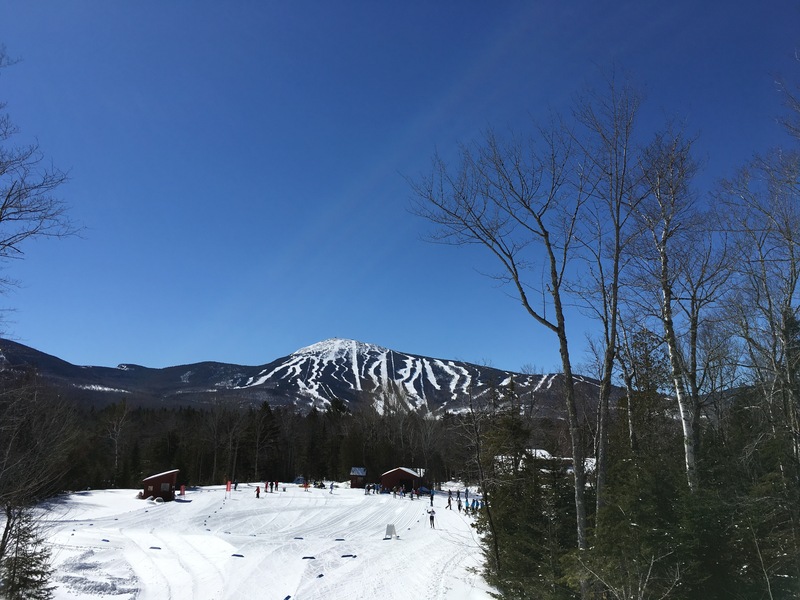 Thus, as I lined up for the start of Sugarloaf beneath crystal blue skies and warm sun, I was calmed. I had eaten well and had a belly full of good coffee. Daresay, I was even looking forward to a 50km skate marathon (knowing full well the actual distance would be something shy of that number). The race exploded from the gun. Five kilometers past the edge of the civilized world I was already suffering. 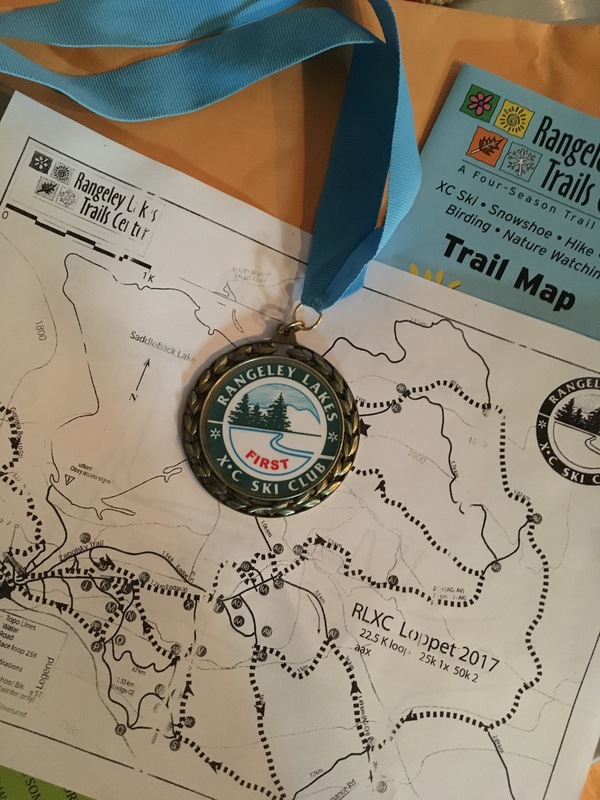 My legs had felt blocked and wooden in the warm-up, which had been a challenge in the single-digit temperatures, and they felt no better on the gradual descent from the start line. I strained to fill my lungs, my chest constricted by extra layers of windproof clothing. The fast college boys were already pulling away. Up the trail, a thin line of a dozen or so skiers skated into the woods and vanished. There were a few guys caught in no-man’s land, struggling to catch the leaders while the gap widened. I had tried that before and I knew it didn’t end well. Forty-five kilometers at 4ºF and predicted strong winds would make for a long day. And I was playing the long game, following my strategy of a conservative start, though the signs from my body suggested I was already over the limit. I settled in behind my teammate, Frank, because I knew he would pace us smartly over the distance. We took turns settings the tempo. At first, it was just the two of us. We caught a few guys and a few guys caught us and then we were a group of 5 or 6, working well together, but always a guy going a little too hard up the hill and a little too slow down it. I realized my skis were fast. By and by, my legs started to come around and my breathing evened out. Each time I started to suffer, I glanced at my heart rate monitor to make sure I was still sitting below threshold, and each time my heart rate hovered around 161 bpm. On the climbs, my hands burned beneath the heavy gloves and I started to sweat. On the descents, it all froze up and my eyeballs watered and I was too skittish to blink. My skis were fast, despite the cold snow. I was navigating the downhill elbows and doglegs mostly in control, though I’m not sure the skiers behind me would have agreed.